Mix ingredients for Semi-Sweet Chocolate Chips. 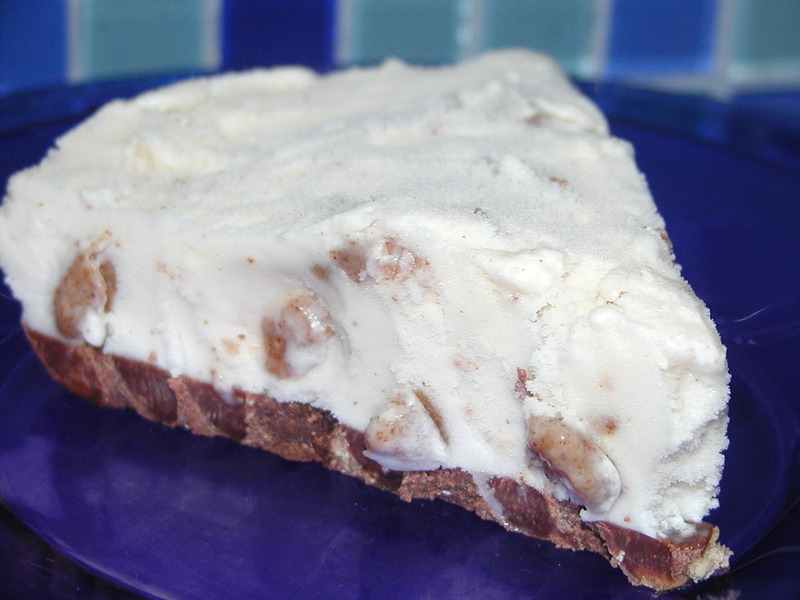 Freeze in greased pie plate for crust. Stir first five ingredients of Nut Butter Chocolate Bars continuously on stovetop at low to medium heat until mixture melts and slightly thickens. Poor into a greased 8 x 8 inch pan. Freeze until firm before cutting into nut butter chunks. Make Vanilla Ice Cream. Add nut butter chunks once ice cream begins to take shape. Pour ice cream into pie plate with crust. Freeze. Enjoy!